One of the things I love best about Jesus is how tricky he is. Jesus is a sneaky, tricky person! Well, he’s laid a trap for us in this gospel parable, and ten bucks say every last one of us fell right into it. So we begin with the tax collector and the Pharisee. This is not a subtle parable; we know whose side we’re supposed to be on. Uh-oh. That doesn’t sound good. I hope I don’t end up in that group. I think I just accidentally prayed a prayer identical to the Pharisee’s. Are you serious about your spiritual journey? Do you really want to have a meaningful life? What are you willing to go through in order to really be transformed? To learn to love? “Who doesn’t want a meaningful life?” we might ask. But even Jesus cautions us to think twice. Honestly, I think it’s probably better that we don’t really know how demanding and challenging the spiritual life is when we first start out, or else we might really think twice about pursuing it! Do you remember the first time you started to think seriously about deeper things? You were either badly jilted and mourned your suddenly meaningless existence, or started reading Kant and Hegel in class and thought for a heady half-hour at a coffee shop with your friends that you were the first person to seriously consider moral relativism. Today I want to put two things together that might seem an odd match: healing and stewardship. How do they fit together? Well, let’s turn to our gospel story from Luke and see what we can find out. 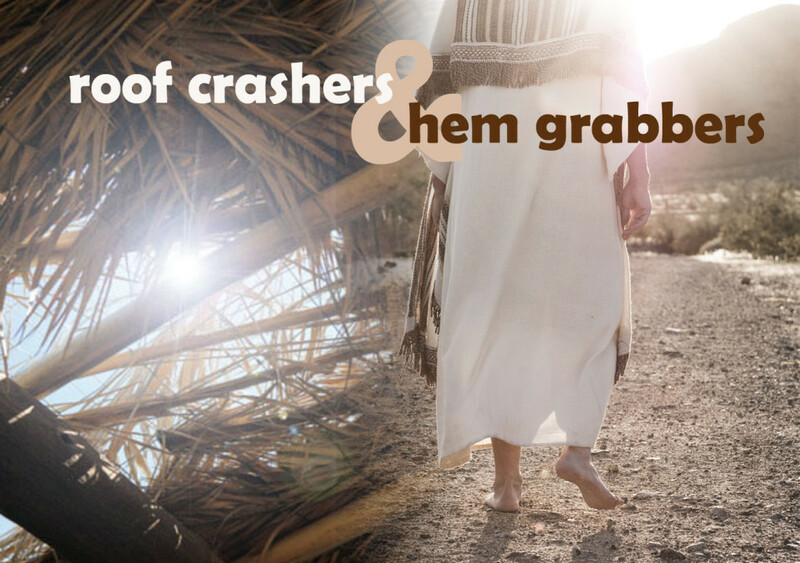 We read of ten lepers who band together and seek healing from Jesus. The number ten in the Bible signifies completeness—think of the ten plagues of Egypt, the sacrifice of the Passover Lamb on the tenth day of the month, or the Ten Commandments. So we could read the ten lepers as representing a complete picture of humankind. That’s a bit jarring, isn’t it? Even today, we would think of lepers as “the other,” someone different than we are. We know that leprosy in the Bible could represent any number of different medical conditions, but these people were ostracized from society, driven out and forced to live in sub-standard, isolated conditions. The Washington D.C. public library system has done a fabulous project this year for Banned Books Month. They have constructed a scavenger hunt for banned books all around the city. They’ve taken books banned by various jurisdictions over the years and put fake covers on them. These covers are plastered with labels that state the grounds for having banned them. So for example, J.D. Salinger’s Catcher in the Rye has a cover that says “ANTI-WHITE,” because that is why it was banned in Columbus, Ohio in 1963. It’s a fun project that draws attention to a serious issue. Censorship is alive and well all around the world today. For centuries regimes, governments and dominant majorities have tried to maintain oppressive statuses quo by controlling what people read and see and hear. And if they control what we read and see and hear, they can control what we think and do. But a dear clergy friend of mine asked me a painfully insightful question as we talked about the gospel lesson this week. One of our presidential candidates used to like to say that on TV, and that’s what the man in our gospel story today is about to hear from his employer. This story in the Gospel of Luke is known as the Parable of the Dishonest Manager, and it’s honestly a little tricky for us to get our heads around at first. When I found out this was the text I had drawn for my first sermon at St. Francis, I was afraid “you’re fired” was exactly what I was going to hear as soon as I got out of the pulpit! But I have faith that we can figure this out. Let’s review the facts as we know them. We start with two characters: the rich man and his manager. Word on the street is that the manager has been embezzling funds and taking kickback, and the rich man summons him to his office for a pre-firing dressing down. In serious hot water, the manager realizes he’s not trained for any other type of job and he’d better lay some groundwork for his future. So going to his master’s clients, he reduces their bills, thereby earning himself their gratitude and restoring his master’s reputation from someone who employs corrupt officials to someone who is generous with his clients. We can follow up to this point. The manager is trying to make the best of a bad situation, and since he’s already defrauded his boss, he might as well go whole hog and make himself look good by unethically reducing the amount of money the clients owe. You would think that when the rich man found out that his manager had again cheated him out of money, he would call for the tar and feathers. The Holy Spirit works in mysterious and very helpful ways, for I could not have found two better scriptures for our transition reflection today than our epistle and gospel. They are perfect for where we are and what we need to talk about today. The gospel tells us what to do, and the epistle tells us how to do it. A priest who supervised me when I first got ordained told me that families are more who they are than ever at weddings and funerals. What he meant was that in moments of life and death, all of their best qualities are exaggerated, but so too are all of their worst. In times of transition, old fights and grudges reemerge, but so too do forgotten depths of courage and insight and grace. I have found that this dynamic is true for church families as well. So don’t be surprised if in the next few weeks and months, the fight about taking down the old stained glass window above the altar at St. Luke’s comes back, or the question of who exactly had the idea of taking down the altar rail at St. Thomas and moving the font up to the front. As anxiety levels rise in transition, we start to get territorial. This is my ministry, my area, my pet project, my meeting, my idea about how our church should go forward. We start to take ownership, false ownership, over things and ideas and people. It may help to damp down our anxiety, but it will not help our church at all, in the short term or in the long run. Today we’re going to keep talking about what we need to prioritize in our transition time, and the number one thing we can do for ourselves and our church is pray. Our gospel story today is from Luke, and we see Jesus praying, talking about prayer, and using prayer in his ministry in the Gospel of Luke more than any other gospel. Luke tells us that Jesus “often withdrew to a lonely place and prayed,” (5:16), that he prayed on the mountainside and stayed there praying all night (6:12), that he prayed alone (9:18), that he rejoiced in the Holy Spirit and thanked God publicly (10:21-22), and of course we know his prayers in Gethsemane and from the Cross. Here in chapter 11 of Luke, the disciples ask Jesus to teach them how to do what they see him do so frequently: pray. We in the Episcopal Church are great at liturgical prayer. We have profoundly beautiful words handed down to us in the Book of Common Prayer that stir our hearts and bring us into the living presence of God. We can find the sweeping majesty of God and the intimate comfort of God all brought to life between the pages of our little prayerbook. We also use spontaneous public prayer, often at the beginning or end of meals and meetings, and it can be a great way to unify the hearts of a group in a shared experience, bringing that experience before God. But we don’t talk enough about private prayer, and it is such a rich field of spirituality. In fact, it is the lifeblood of our Christian walk. It is the way we communicate with God. The apostle Paul tells us in 1 Thessalonians to pray without ceasing.